You’ve lost the weight, but what about those “problem” areas that still need a little toning and tightening? At Jersey Medical Weight Loss Center in Somerset, New Jersey, weight loss and internal medicine physician Dr. Aparna Chandrasekaran uses CoolSculpting to help you feel more comfortable in your skin. It’s the perfect procedure to compliment your weight loss and accentuate your new body. CoolSculpting is the world's #1 non-invasive, FDA cleared, safe body contouring procedure that uses a controlled cooling device to target fat cells. When fat cells are frozen, they crystallize and die off. That helps the body naturally reduce excess weight in problem areas like the abdomen, thighs, under the chin, or around the waist. That leads to a slimmer and more sculpted you. You will meet with Dr. Chandra and her trained staff for a consultation to discuss your goals, problem areas, and other specific concerns. The team will perform a 360-degree body assessment to come up with a customized treatment plan for you. Based on your needs and goals, you may require just a few sessions or a series of sessions over the course of several weeks. On the day of the treatment, accurate measurements and photos will be taken to ensure the best possible outcome. Each cycle may last from 30 to 75 minutes depending on the body part. Most people don’t report any pain, although you might experience some mild pinching, tingling, or a tugging sensation. Depending on your treatment plan, you may have more than one area of your body treated at the same time. You’re free to read, check emails, or simply rest during treatment (which usually lasts between 30 minutes to an hour). 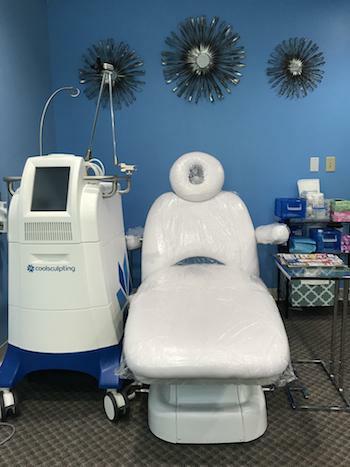 Since most patients don’t need downtime after a CoolSculpting session, you can expect to return to your normal activities soon after a procedure. CoolSculpting reduces the number of fat cells in the treated area by about 20-25 %. Once those fat cells are gone, they don’t return. This means that CoolSculpting results are long-term as long as you are able to maintain your optimal weight. You are a candidate if you are looking to reduce stubborn fat bulges or if you are looking for a safe, effective alternative to plastic surgery. However, it's not for everyone. Dr. Chandra will review your medical history during the consultation to determine if there is any medical contraindication. Coolsculpting is not a weight loss procedure to help shed those excess pounds but rather an excellent way for body contouring! "The staff was very professional. They made me feel very comfortable throughout the cool sculpting procedure. I was very relaxed throughout the procedure and didn’t feel like I was having anything done. It felt like a refreshing spa treatment. Great experience! I will certainly be having more treatments in the future. 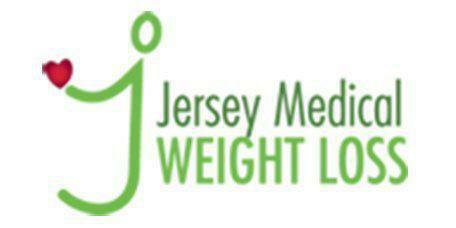 Thank you Jersey Med Weight Loss Staff." "My Coolsculpting experience at Jersey med was really cool and painless. The office ambiance is awesome.The office staff Shalaka and Denise are very caring and were even kind enough to offer me lunch. I had 8 sessions so far and couldn't be happier with the outcome. 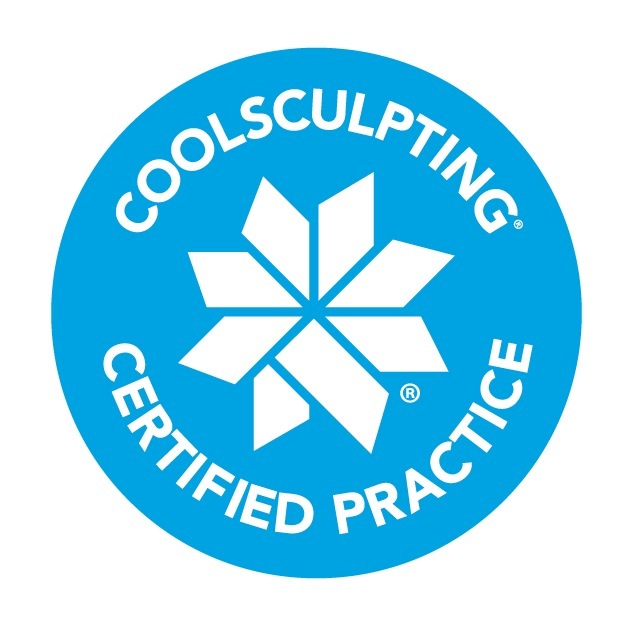 Would recommend without any hesitation for anyone looking for Coolsculpting!" Book your appointment online today so Dr. Chandrasekaran can help you determine whether you’re a good fit for CoolSculpting. As a non-invasive procedure, patient satisfaction is high! The CoolSculpting fat-freezing procedure is the only FDA-cleared,* non-surgical fat-reduction treatment that uses controlled cooling to reduce stubborn fat that resists all efforts through diet and exercise. The results are proven, noticeable, and lasting—so you'll look great from every angle. *In the U.S., the CoolSculpting procedure is FDA-cleared for the treatment of visible fat bulges in the submental area, thigh, abdomen, and flank, along with bra fat, back fat, underneath the buttocks (also known as banana roll), and upper arm. In China, the Cryolipolysis system is used for fat layer reduction of the abdomen and flanks. In Taiwan, the CoolSculpting procedure is cleared for the breakdown of fat in the flank (love handle), abdomen, and thigh. Outside the U.S., China, and Taiwan, the CoolSculpting procedure for non-invasive fat reduction is available worldwide. ZELTIQ, CoolSculpting, the CoolSculpting logo, and the Snowflake design are registered trademarks of ZELTIQ Aesthetics, Inc. © 2017. All rights reserved. CoolSculpting is the treatment doctors use most for non-invasive fat removal.